Diagnosing at a Distance: What About Donald? Posted August 14th, 2016 by Mike Boyes & filed under Abnormal Psychology, Assessment: Clinical Decision Making, Assessment: Interviewing Observation, Classification Diagnosis, Clinical Assessment, Legal Ethical Issues, Psychological Disorders. 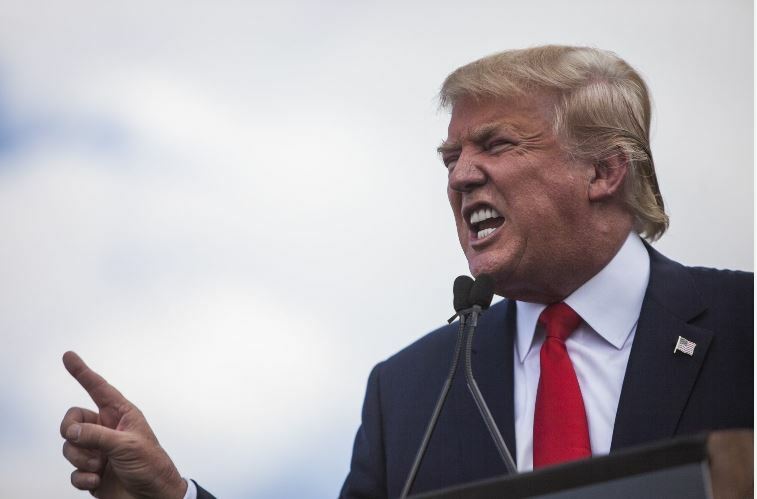 Description: Here is a question: Is Donald Trump crazy? Before you answer the question think about it a little bit. Is this an appropriate question to ask? More pointedly, what should psychologists or psychiatrists think about from an ethical point of view before engaging in any sort of efforts to diagnose public figures like Donald Trump “at a distance”? Before you read the article linked below think about whether psychologists or psychiatrists should respond to media requests to answer the above question or to address it for their own social media contacts. Source: “Diagnosing” Donald Trump is sham psychology and bad politics, Cedar Reiner, Vov: Policy and Politics. Podcast – Listen to Psychology Weekly Update author Mike Boyes, a developmental psychologists podcast about this article below. One of the ethical principles that psychologists are advised to follow by the American and Canadian Psychological Associations involves a duty to properly inform the public when asked questions by the media and to do this by only offering professional perspectives, opinions, or points of view that are grounded in appropriate psychological research. A related ethical principle applies to the practice of clinical psychology and states that therapists should only use assessment techniques and therapeutic practices that are supported by psychological research. This means that when meeting a client for the first time clinical psychologists are expected to use scientifically proven interviewing and assessment procedures in order to determine which if any diagnostic criteria (from the DSM) may be appropriately applied to their clients’ situations. This reflective individualized process is not at all like the process of examining public and social media statements made by or about political figures like Donald Trump in deciding whether he “is crazy” based on whether his statements or behaviour appear to map on the diagnostic criteria for a DSM disorder. The article linked above raises a number of serious concerns that were reflected in the creation of something called the Goldwater rule which is a rule supported by medical associations indicating that psychiatrists (who are medical doctors) must refrain from diagnosing public or political figures “at a distance”. The rule was put in place after a number of psychiatrists argued that Barry Goldwater, a candidate for president in 1964, was mentally unsound and unfit to be President. The rule specifically indicates that psychiatrists may not publicly diagnose individuals without meeting and assessing them personally and without obtaining permission to talk about the results of that assessment. The psychologist author of the article linked above points out the diagnosis at a distance does not meet the ethical standards for scientific diagnosis and treatment planning psychologists and psychiatrists live by. Further, describing examples of Donald Trump’s admittedly extreme behaviour as crazy contributes to the stigmatizeation of people with properly diagnosed mental issues by suggesting that “crazy” behaviour reflects moral failure. As well, dismissing behaviour as “crazy” or reflecting mental illness diverts attention from the behaviour itself and from the circumstances of the population demographic that the behaviour was strategically targeted towards. Just as parents are advised to speak of their children’s behaviour rather than their child’s “moral failings” so should those commenting on Donald Trump’s antics also focus on behaviour as did the 50 prominent Republicans who described Trump as “dangerous”, alarmingly ignorant, and lacking in self-control. The run-up to the November 2016 American election is going to be interesting enough without the addition of rampant, distant, armchair diagnosing. What is ethically inappropriate about “diagnosing” (using DSM criteria) political and celebrity figures based on their coverage in the media? How would describing Donald Trump as mentally ill impact the current growing concern about the range of stigma surrounding people who are or have encountered issues of mental illness? What are some of the important differences between the term “crazy” that gets tossed about in the media and day-to-day discussions about celebrities, politicians, or simply someone else in your class or office and the concepts of mental illness as carefully defined within the diagnostic and statistical manual? Kroll, J., & Pouncey, C. (2016). The Ethics of APA’s Goldwater Rule. Journal of the American Academy of Psychiatry and the Law Online, 44(2), 226-235. Cooke, B. K., Goddard, E. R., Werner, T. L., Cooke, E. O., & Griffith, E. E. (2014). The risks and responsible roles for psychiatrists who interact with the media. Journal of the American Academy of Psychiatry and the Law Online, 42(4), 459-468.